Lovely narration. Brings memories back to life. and the solution to the lech problem is to take a thin sheet with you and cover yourself from top of head to toe! That exactly what happen when u got off the train ... ur post brought back all the memories of my train journey ... i still do travel by train n love it !! Every Indian journey is special in its own way isnt it!!! Wow! your wonderful narration drew loads of scenes before my eyes. Miss the train and everything you mentioned and more ....thanks for a wonderful post !! Wonderful memories. It's these simple moments that mean so much when we are older. Although I've never sat in a train that passes villages but I will think the same like you if I did, wondering about the people who live there. the romance of train journeys in india! Ah how we miss the simple pleasures of life ..imagine the vibrancy of a train compartment, the chatter , the songs, the food the chaos...and compare it to your average flight...the only time it wakes up is when there is a turbulence or if it is crashing. #trainphilosophy - ' boss sab ek hi train mein hai...bas fark itna hai ki koi S1 mein aur koi S3 mein...lekin jaana ek hi jagah hai sabko ! Could picture the train journey..the sights, the smells, the sounds..
And you are so right about Gujarati co-passengers. I had my first thepla waiting for my connecting flight at Vienna. excellent post...despite all the stress it's a wonder why we find it so rewarding ! "If you drool sufficiently and give hungry looks the kind people will share their yummy 'Theplas, Farsan and Achar' with you." WoW! What a journey! I mostly prefer train journeys over flight for all the reasons mentioned. If you find good people in your compartment, it becomes all the way more carefree and enjoyable! I did this every year while growing up. 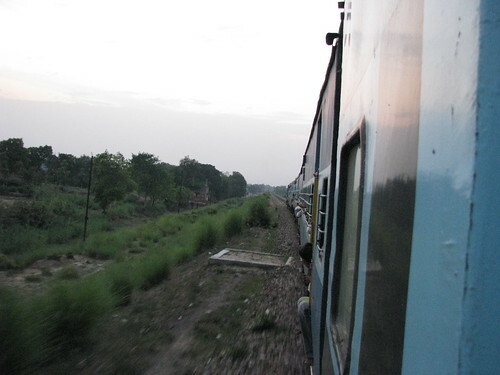 Delhi to Kolkata by train and soaked up the amazing experience. 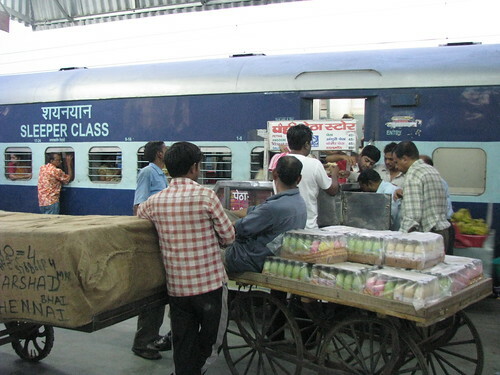 The chai, the vendors, the passengers,the wait for the loved one at the platform... Train journeys were part of our childhood. Planes simply do not have that romantic feel. Wow. This sounds so exiting. I have always wanted to be in such a train journey. Its these memories that hold so important to us later on. It is very commendable for you to remember and recollect all these memorable experiences sitting right up there in UK! Very well described... Hats off, LP! WOWOW very nicely you have portrayed the vibe of travelling on a train.. I remember summer vacations goign to calcutta , Kalka mail.. three days Travle time chandigarh to howrah and BOY we loved it .. But window seat is one thing i am crazy about anyhow!! That was a wonderful read LP! Brought back memories of years of train travel! It used to be yearly routine for us, during the summer hols :) And when I was in college, all I used to do was get on the top most berth, and snuggle with a book - loved it! I used to skip meals though - could never eat much during train travel. 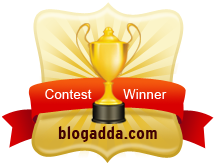 Thats was a wonderful post.As a child, I used to love traveling in trains and sleeping on the top berth. 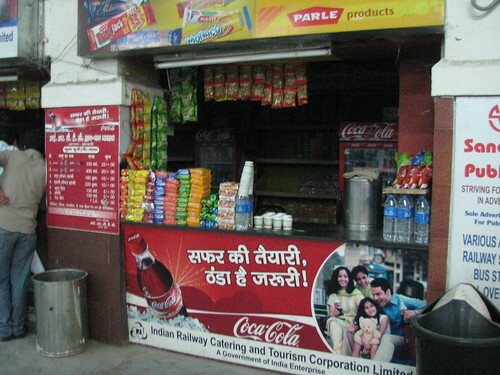 I would buy all the fashion/filmi mags at the station and then spent the rest of the trip reading, buying snacks from very station the train stopped and looking out at the scenery:-) Travelled again two years back and the experience was not soo pleasant..I just could not handle the bathrooms:( but my kids had fun!! wonderful narration!! !enjoyed every bit of it!! !you are so right about the uncle giving sleazy looks!! !during my last trip to India,when i traveled by train i was up the whole night with my eyes fixed on my baby worrying if one of those tiny cockroaches might get into his ears in the dark!!!phew!! !also had to deal with major train delays and had to sleep in the platform one whole night coz they just wouldn't tell us when the train would come!! !just kept extending the delay by 1 hr.....until morning!!! CB: Yep...travelling is fun...I especially love travelling by car more as it gives you a lot of flexibility. Karan: I agree, plane journeys are so antispetic..
Sonali: Yes the loo's have always been a problem...that is a major deterrent for most of us.. I haven't been much of a train traveller, unless you are talking about the local train variety. Have done a lot of that in Mumbai. But my craziest train journey was perhaps from Talegaon to Mumbai in the second class ladies compartment squashed between too many women with hardly place for one foot. Had to board that train as I was to report for work directly after I got off that train. Stood all the way from Talegaon to Kalyan - that's over 2 hours of squashed existence. As a kid I used to enjoy train journey's so much that I used to crave for them. I always associated these journeys with eating! Be it the subzi puri or chane ki daal I used to hog!! Hey Lazy....this was defn one of ure better pieces. I loved the flow of language and the way u have captured the various rigours of train travel in India. keep it up! Haven't we all experienced train travel in India in all its glory? Lovely your narration, brings back fond memories and makes me wanna experience it again and again! ......and what about the splash of water from some one washing his hand entering from the window on your face? Train travel was so part of growing up. I just love it. So nice...and,believe me,second class train travel is pretty much the same...except for the terror factor..sigh! Nice memories...and,let me ask'were you a timetable reader',too? I used to memorize the next 5 stations,each time...and,crane my neck to see the station's board...incidentaly,Dehradun Express was my favourite-coz it took 24 hrs to reach Delhi from Baroda...now,I'd run away from it..and,rather not travel than go by a slow train.hahaha. Sorry to break the magic here but I hated train journeys... specially dirty compartments, nightmarish loos, cockroaches, bedbugs, fighting over seats, endless waits for reservations, wooden pooris...didn't feel the romance and am happy that flights have become affordable. I want the second class trains of Switzerland. amazing blog..i can totally relate wid it....staring uncle and the comparision abt food that others hav brougt in wid them was gr8.